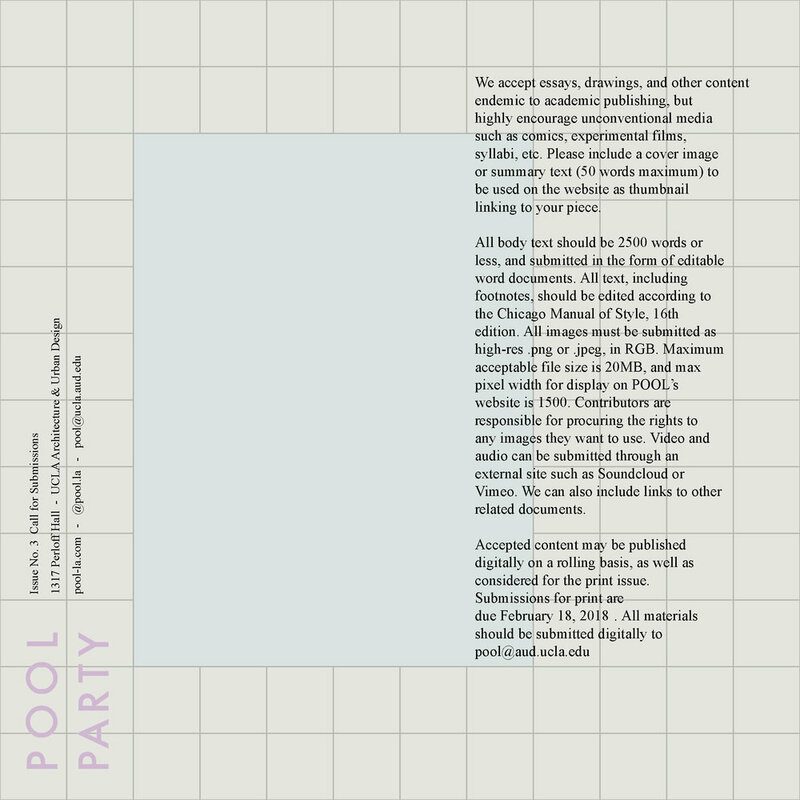 We are pleased to announce the theme for our upcoming, second print issue, POOL: PARTY. Submissions for print are due February 18, 2018. The deadline is extended to March 26, 2018!! All materials should be submitted digitally to POOL@aud.ucla.edu.